Kick off your visit on the 11th (Thu): stroll through Kuniya Walk and then explore the striking landscape at Uluru. On the next day, trek along Uluru Hiking Path, then take an in-depth tour of Uluru-Kata Tjuta Cultural Centre, then shop like a local with Walkatjara Art, and finally take in the awesome beauty at Kata Tjuta. To see other places to visit, where to stay, ratings, and more tourist information, read Uluru-Kata Tjuta National Park road trip app . 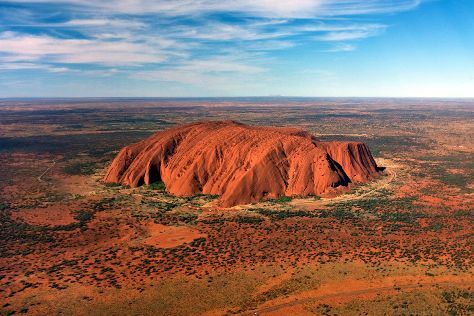 Sydney to Uluru-Kata Tjuta National Park is an approximately 5.5-hour flight. You can also drive. Traveling from Sydney in October, expect nights in Uluru-Kata Tjuta National Park to be about the same, around 18°C, while days are a bit warmer, around 38°C. Finish your sightseeing early on the 12th (Fri) to allow enough time to travel to Port Douglas. Discover out-of-the-way places like Mossman Gorge and Wildlife Habitat Port Douglas. Step out of the city life by going to Daintree Discovery Centre and Cow Bay Beach. Spend the 15th (Mon) among aquatic life with a scuba or snorkeling tour. To find more things to do, reviews, where to stay, and tourist information, use the Port Douglas tour planning app . Traveling by combination of flight and shuttle from Uluru-Kata Tjuta National Park to Port Douglas takes 6 hours. Alternatively, you can drive. Traveling from Uluru-Kata Tjuta National Park in October, expect nights in Port Douglas to be a bit warmer, around 23°C, while days are a bit cooler, around 34°C. Wrap up your sightseeing on the 15th (Mon) early enough to drive to Cairns. Discover out-of-the-way places like Palm Cove Beach and Trinity Beach. Visiting Scuba & Snorkeling and Hartley's Crocodile Adventures will get you outdoors. To see more things to do, other places to visit, maps, and other tourist information, go to the Cairns road trip site . Traveling by car from Port Douglas to Cairns takes 1.5 hours. Alternatively, you can take a shuttle; or do a combination of shuttle and bus. In October in Cairns, expect temperatures between 34°C during the day and 24°C at night. 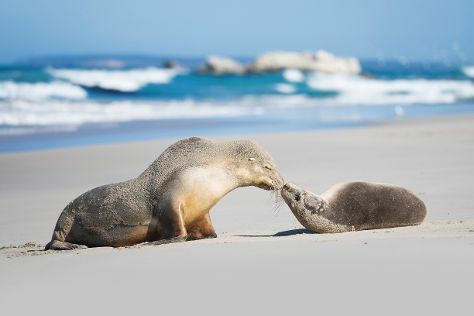 Finish up your sightseeing early on the 18th (Thu) so you can travel to Kangaroo Island. You'll explore the less-touristy side of things at Raptor Domain and Flinders Chase National Park. Get outdoors at Seal Bay Conservation Park and Little Sahara. There's still lots to do: identify plant and animal life at Kelly Hill Caves. To see maps, ratings, photos, and more tourist information, read Kangaroo Island road trip planning website . Traveling by combination of flight and taxi from Cairns to Kangaroo Island takes 5.5 hours. Alternatively, you can do a combination of car and ferry; or do a combination of train, bus, car, and ferry. Wrap up your sightseeing on the 21st (Sun) to allow time to travel to Margaret River. On the 22nd (Mon), learn about winemaking at Brown Hill Estate, learn about winemaking at McLeod Creek Wines, then explore the fascinating underground world of Jewel Cave, and finally enjoy the sea views from Cape Leeuwin Lighthouse. 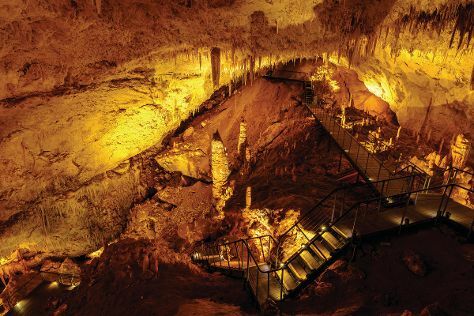 Keep things going the next day: learn about winemaking at Redgate Wines, then Head underground at Lake Cave, and then Head underground at Mammoth Cave. For traveler tips, maps, where to stay, and more tourist information, go to the Margaret River road trip planning website . Traveling by combination of taxi, flight, and bus from Kangaroo Island to Margaret River takes 11 hours. The time zone changes from Australian Central Standard Time (South Australia) to Australian Western Standard Time, which is usually a -1 hour difference. Cap off your sightseeing on the 23rd (Tue) early enough to travel to Broome. Take a break from the city and head to Cable Beach and Malcolm Douglas Crocodile Park and Animal Refuge. Explore hidden gems such as Nature & Wildlife Tours and Roebuck Bay. There's more to do: take in the dramatic natural features at Gantheaume Point. To find reviews, ratings, traveler tips, and other tourist information, you can read our Broome trip itinerary builder app . Do a combination of bus and flight from Margaret River to Broome in 9 hours. Alternatively, you can drive; or do a combination of bus and train. In October, plan for daily highs up to 39°C, and evening lows to 28°C. Finish your sightseeing early on the 26th (Fri) so you can travel to Sydney. Get outdoors at Bondi to Coogee Beach Coastal Walk and Bondi Beach. 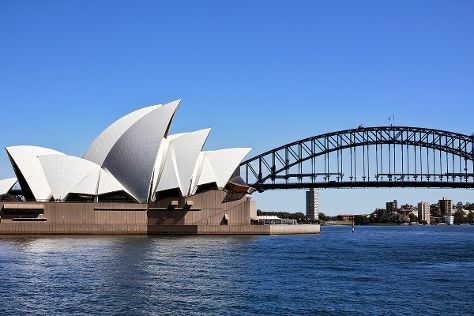 Your cultural itinerary includes sights like Sydney Opera House and Darling Harbour. Next up on the itinerary: wander the streets of The Rocks, kick back and relax at Manly Beach, make a trip to Sydney Harbour Bridge, and tour the pleasant surroundings at Coogee Beach. To find photos, where to stay, reviews, and tourist information, you can read our Sydney travel tool . Traveling by flight from Broome to Sydney takes 7 hours. Alternatively, you can drive; or do a combination of bus and train. You'll lose 2 hours traveling from Broome to Sydney due to the time zone difference. Plan for slightly colder temperatures traveling from Broome in October, with highs in Sydney at 28°C and lows at 17°C. On the 30th (Tue), wrap the sightseeing up by early afternoon so you can travel back home.